Well its been a few months since our last post and lots has been going on! Survival has been thriving since the world reset for 1.13 in December. I continue to be amazed at some of the impressive builds that I see as I secretly visit you all.. But firstly, you may have seen a new Admin appear.. Welcome to the admin team bizarr0!!!! Biz has only been with AddstarMC for a short time, but despite that, he brings along some core Admin attributes which are highly desireable to the running of AddstarMC. Since joining the team, he has already hit the ground running and is now busily working on projects in the background. Building Competitions: You may have noticed a new comp forum has been created. From now on whenever a comp commences, a thread will also be started in the Comps forum. The thread will remain open for discussion and also to announce the winners and pictures. You might also be excited to see that our current comp is to build a Mystery Map! This is a very special comp, as entrants aren't just building to win the competition, but your build might get used in an upcoming AddstarMC minigame! Skygrid: Unfortunately Skygrid remains as 1.12, with no date to update as yet. We have run into technical issues and hope to upgrade it in the future. Thank you to all our staff, and an even bigger thank you to this amazing community. Without you, the server wouldn't be where it is today. It's been a very hectic year for Staff, with several hardware issues and 1.13 being released. But with Christmas just 6 sleeps away, and AddstarMC in a good position with a new Survival, new hardware, and an amazing community; its time to offer more. To celebrate Christmas and the holiday period (for us Aussies), we'd like to announce a few Xmas coupons on our Donation Store. Until midnight the 27th Dec 2018, we're smashing prices on our Donation Store. 20% discount on everything else on the Donation Store. 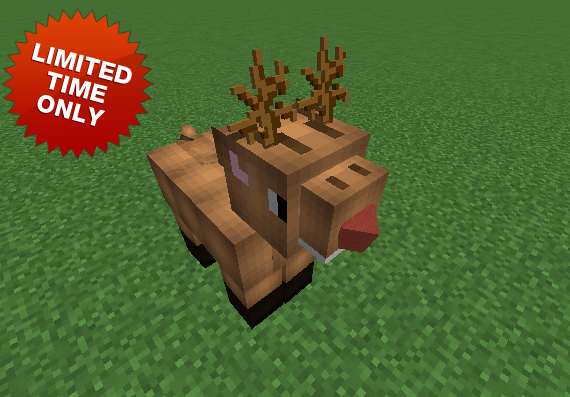 Additionally, for a limited time only, we have enabled this adorable festive Rudolf the Reindeer. But hurry, as it wont be available on our store for very long. But once purchased you will keep it forever! 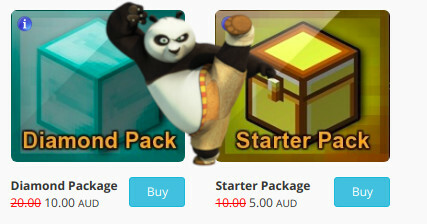 TheExclamation please add that panda as a permanent addition to the donation store. Survival 1.13 - Now Open! Additionally, the first person that can give me the exact coordinates of where i was standing for the photo above, will receive 2 Diamond Keys that can be used in any participating Server. _adnap_ M Congrats Party_Joey for finding the coords. 2 x Diamond keys coming your way! Survival 1.13 - More than just a reset! Howdy All. As you are aware, about a week ago we said our goodbyes to Survival 1.12. It was a time of mixed emotions, but it was good to see so many people laying TNT all over their builds and destroying their hard work. Having access to fly in survival.... well i never thought i'd see add5tar allow that.. But moving on...In the past week we have been madly getting the "New" Survival ready. You may have noticed the increase in staff presence. Although it may have seemed that we were quiet in chat, we have been really busy testing and tuning. 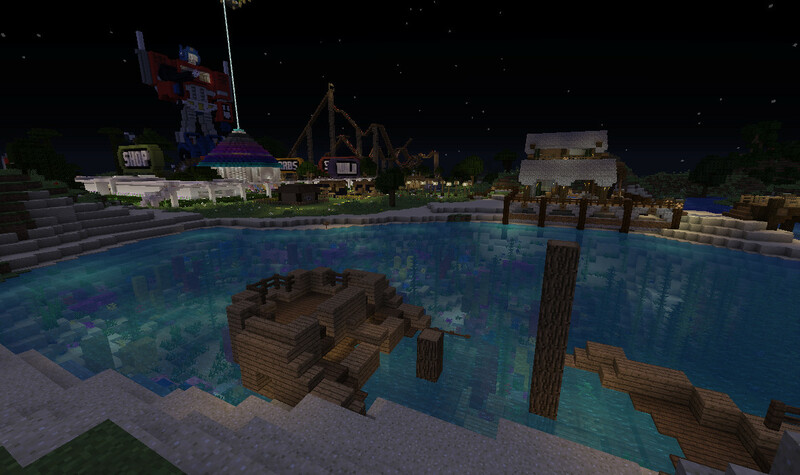 But your perseverance has paid off and our intention is to re-open Survival sometime in the next few days.